Higgs or not Higgs, light or heavy? Light Higgs, says Ignatios Antoniadis of CERN’s Theory Group. 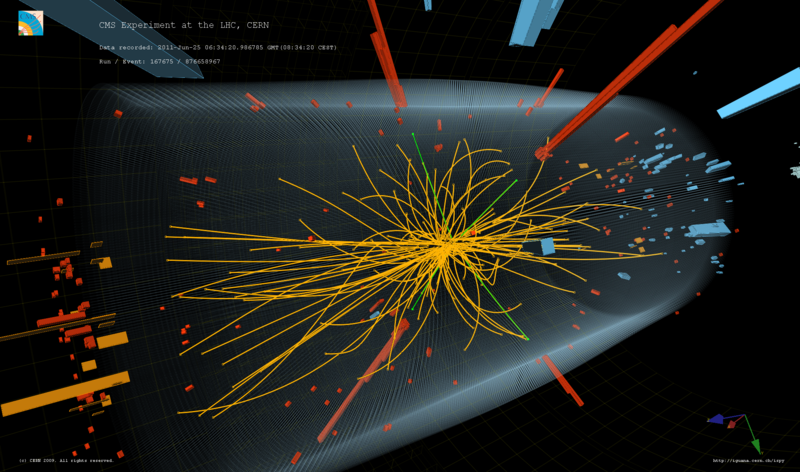 The particle is still hiding but there are some signals that could potentially point to a small-mass Higgs boson. Staying in the realm of hypothesis, how would such a Higgs shape the Universe? How would it impact existing theories such as supersymmetry and extra dimensions? And finally, how could superluminal neutrinos fit into all this? If the Higgs exists, its mass will also tell us something about the supersymmetric world. “A light Higgs is compatible with supersymmetry, whose theoretical models predict the existence of an elementary particle with the properties of the famous boson. On the other hand, a heavy Higgs would basically exclude supersymmetry, at least that which we could theoretically expect to discover at the LHC,” explains Antoniadis. If supersymmetric particles are not found, extra dimensions could become a very strong alternative scenario to describe what is out there in the Universe. “Extra dimensions do not constrain the mass of the Higgs. There are extra dimension models that remain consistent without a Higgs boson at all," he continues. Extra dimensions recently came into the limelight in the discussions that followed OPERA’s announcement. “OPERA’s results indicate a violation of the absolute limit of the speed of light. Existing experimental constraints from measurements done on neutrinos from supernovae imply that such an effect should strongly depend on the energy of the particles. Theories with extra dimensions may, in principle, accommodate such effects, but in my view we should wait for independent experimental confirmation,” concludes Antoniadis.